Travelling to a new city? If so, then certainly you need to book the ride for easy travel. But sometimes, chasing down a cab on the street, or calling a cab make the travel a bad tale. In case you have hired an unregistered taxi by hailing a cab, then at first, you may end up paying too much for cab fare as they won’t play by the rules. If the registered taxi is booked by calling a cab, then drivers start the meter from the time they are called for pickup. The excuse of not having small change will eat up some of your bucks. Also, they do take a long route to drop you to the destination, which increases the meter readings. Sometimes, security issue as well. That’s really a taxing situation for the travelers. Here, the automate taxi mobility solution is a panacea. What is the taxi booking app? Take a sneak peek at it. 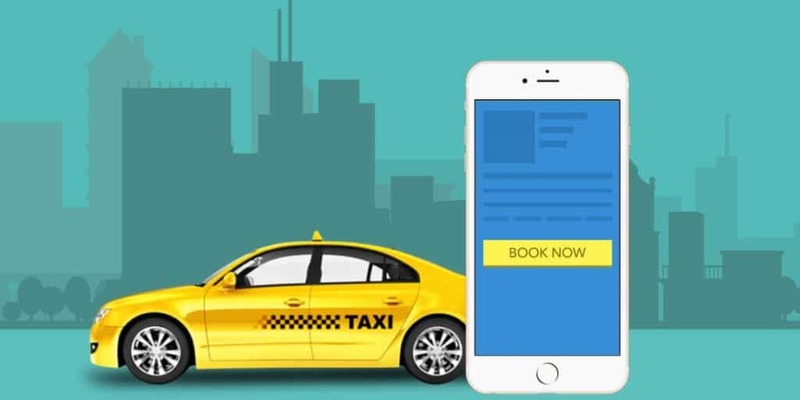 There are a lot of taxi booking apps like- Yellow taxi, Uber, Lyft and Hailo which have eased the travel, and made the ride booking convenient by providing Taxi Booking App Builder to the taxi companies. This way life gets much simpler and easier. Now, taxi booking is just a tap of a button away. The passengers can book the ride for now or pre-book the ride for a scheduled trip alongside indicating the special needs such as bulky luggage or wheelchair they have. It ends up hailing a cab and then waiting for it as the cab will arrive at the pickup location in a couple of minutes. This way passengers can have the cab 24/7. There is a straightforward method to book the ride. The passengers look for the taxi in the nearby area and then sent the booking request to the multiple drivers. The driver who accepts the request first will get booked. The passengers can view the drivers’ profile, picture, ratings and the feedback provided by the previous passengers. The information alleviates any confusion that the passenger may have in mind and they can confirm the booking undoubtedly. Many times, the notorious drivers play with regulations like- taxi fare is high during weekends or extra will be charged for the luggage or the meter is broken so an average amount will be taken from you at the end of the journey. These are actually the tricks to charge two to three times of the fare from you. With the taxi mobility app, no such high price bomb will be thrown at the passengers as the app enables the passengers to get an estimation that how much fare they have to give once they enter the pickup location and destination. There will be no cheating and just fair prices will be charged! After booking the ride, the passengers wait for the drivers to come and pickup, but sometimes the wait is elongated to an hour and they don’t know where the driver is and how much time it takes to arrive at the location. Besides, communication with the driver is also problematic, if the driver is sent by the Taxi dispatch system. The situation will turn upside down when the ride is booked with a mobile app. The passengers can track in the real-time where the driver is and can communicate with him by in-app texting or calling. The real-time tracking also helpful during the drive to know whether the driver is taking the right route or not. It’s safer! “I have no change” or “Tip” are some of the ways to put an extra hole in your pocket by the drivers when you are paying cash. The mobility solution takes the payment processing to a whole new level. Now the choice is completely of passengers. When the passengers reached the final destination, they can either pay with cash or use the card to pay the taxi fare. Once, the fare is paid, the receipt is sent as an email to the passengers. Unquestionably, safety is the major concern that the passengers or travelers have when they are making a trip to a new place. From start to the end of the journey, the doubt in mind ruins the fun of the expedition. Again, the taxi solution excels. It’s ensured by the companies that the ride is safer and it’s something on which the passengers can trust. With GPS tracking, the taxi companies would have complete information of before, during and after the trip. So, they know which driver has made the booking for which journey, what route the driver has taken and where the taxi is in the real-time. Consequently, the million of safer rides are completed every day! There is no optimal way to reach the destination or check out the buses or routes at new locations. Here, the navigation travel app helps. It lets the travelers plan the trip, exact the current location, decide from where to start the journey, which bus stops would pass by and how much time it will take to reach the destination, all in the palm of their hands.